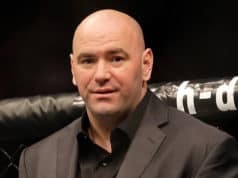 One of the UFC’s most powerful young light heavyweights made a thunderous return to the Octagon at today’s (Sat., July 28, 2018) UFC on FOX 30 from the Scotiabank Saddledome in Calgary, Alberta, Canada. 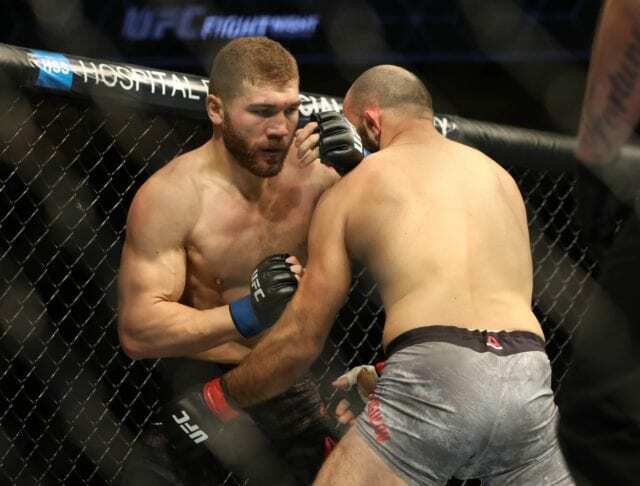 Knockout slugger Ion Cutelaba squared off with Gadzhimurad Antigulov in a fast-paced, violent affair. Despite some big shots that appeared to at least stun Cutelaba early, Antigulov came out looking to wrestle and it was to his detriment. 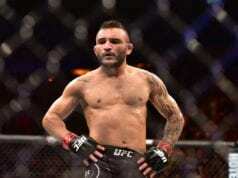 Rapidly tiring, the 24-year-old Moldovan capitalized in a huge way with some brutal knees and elbows along the cage wall, leaving referee Marc Goddard no choice but to stop the action. The win gave “The Hulk” two straight knockout victories in a division that needs new blood perhaps more than any weight class in mixed martial arts. 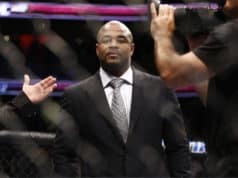 After the impressive win, Cutelaba made the most of his on-air microphone time to say the least, calling out soon-to-be-retiring light heavyweight champion Daniel Cormier, who was cageside to call the action in Calgary.